Processing your booking information for Your Halls Life managed events, through our third party booking system LIVE IT (Bookitbee). Monitoring and tracking sign-ups and attendance to Your Halls Life events. Use of data to manage, run and ensure safety of all attendees to Your Halls Life events. We also work with a range of University of Reading services and student bodies (such as the JCRs) to arrange and run events and activities for our residents. We work closely with the University to make sure you and others are safe and secure – for example, the University’s wardens, pastoral care team. Student demographic data to understand who is attending Your Halls Life events to make adequate changes and improvement to the programme. this includes but is not limited to graduate type, country of origin and hall that the participant resides at. Please read this policy carefully and also take a moment to read the event Terms and Conditions. Who is in charge of the data collected and how do I contact UPP? How is personal data collected by UPP? This policy relates to how Your Halls Life processes personal data relating to individuals who engage or use our services whilst living in accommodation or as a student at the University of Reading: including booking onto and attending any of our events; accessing our website; providing information to us via our website, via our social media accounts and any communications between us. If you provide information about others, like when booking tickets for a friend, then this policy applies to any individuals whose personal data is provided to us. Our services and our website are not intended for children and we do not knowingly collect personal data relating to children unless UPP are providing accommodation to an under 18-year-old. Who is in charge of the data collected and how do I contact Your Halls Life? Your Halls Life is a service provided by UPP. Your Halls Life is responsible for processing your data and will deal with your enquiries if you communicate with us. We may ask one of our UPP group companies to deal with your request. Usually, this will be UPP Residential Services Limited, or it may be our parent company, UPP Group Limited. Both Your Halls Life and UPP will treat your personal data (which means data from which you can be identified, including - but not limited to - your name, address, email address, phone number, room number, payment details for ticketed events, as well as technical information about your visit to our website, and the like) in accordance with applicable data protection legislation here in the UK. Your Halls Life’s address is Windsor Hall, University of Reading, Shinfield Road, Reading, RG6 6HW. If you have any questions about this policy, or how we process your personal data, email our UPP Compliance Team at Compliance@upp-ltd.com or call the Team on 020 7398 7200. This policy was created in August 2018 in preparation for the September launch of the Your Halls Life website. a. Identity data includes first name, last name, title, student I.D number and nationality. b. Contact data includes email address and phone numbers, your social media profile information (if you use this to get in touch with us) and the content of your communications with us by whatever means. c. Resident data includes details about your use of our accommodation including your room number, access details (like your key number, or security card, and where and when they are used to attend an activity or event). d. Financial data includes the details you provide to pay for an event, where there is a cost or arrange a refund, including bank account and payment card details. e. Marketing and communications data includes your preferences in receiving marketing from us, and your communication preferences. f. Technical data includes Internet protocol (IP) address; [your login data;] browser type and version; time zone setting and location; browser plug-in types and versions; operating system, platform and other technology on the devices you use to access our website; information about your visit, including the full Uniform Resource Locator (“URL”); clickstream to, through and from our website, third party websites/links or the social media accounts that we operate (including date and time); information that you viewed or searched for via the your halls life site; page interaction information (such as scrolling, clicks, mouse-overs and likes). g. Usage data includes information about how you use our website, such as time of visit, pages viewed, and time spent on these pages. Aggregated data is collected and reviewed to understand website usage, the data is not used to track individual activity. We do not ask for, or deliberately collect any, special categories of personal data, or information about criminal offences. How is personal data collected by Your Halls Life? Direct interactions with you. You may give us your identity data, contact data, resident data, and marketing and communications data by filling in forms or by corresponding with us via our website, by phone, by email, via our social media accounts, face to face, by responding to a survey or entering a prize-draw or otherwise. Resident data of those living in halls from UPP and the University of Reading. Marketing and communications data. When we use social media sites such as Instagram, Facebook and Twitter to contact you via that platform or share content with you. Those sites may also provide us with information about you, such as where you send us a message, or like or comment on us or our content. We do not buy in mailing lists. Booking data. Our events are hosted on the LIVE IT system, under the brand name BookitBee. Analytics providers such as [Google based within the EU]. Depending on the nature of your dealings with Your Halls Life, we may combine this data with other data we hold about you. To process your booking information for Your Halls Life managed events, through our third party booking system LIVE IT (Bookitbee), including the use of data to manage, run and ensure safety of all event attendees (i.e. keeping a door list to know who is in the venue in the event of a fire). During the booking process you will be asked to provide your student ID (to confirm that you are a student), name, email address and in certain cases (i.e. where payment is taken, or the event occurs off-campus) you may be asked for your address and phone number. These details will be used by the Your Halls Life team to contact you with any changes, cancellations or reminders of the event, or to action any refunds where necessary. We will use your personal data to confirm that you have signed up to attend and sign you in at the event (for instance on a door list) and to send you tickets. To monitor and track sign-ups and attendance to Your Halls Life events via the accommodation card access system SALTO. To deal with your enquiries, claims and complaints. We also work with student bodies [such as the JCR] to arrange and run events and activities for our residents. To manage surveys and any prize draws. To ensure that content from our Site and social media accounts operated by Your Halls Life are presented in the most effective manner for you and for your computer. To manage our programme, including to notify you of changes to our services and to our site. Marketing and communications data includes your preferences in receiving marketing from, and your communication preferences. Generally, we do not rely on consent as a legal basis for processing your personal data other than in very limited circumstances, in relation to sending our communications to you via email or text message. You have the right to withdraw consent to marketing at any time by contacting us. For more detailed information about the purposes for which we use your data, see the table below. If we have identified multiple legal bases for a particular purpose, please contact us if you would like further information. To comply with your enquiries and to handle complaints or claims. To take steps necessary to perform a contract with you, or to take steps at your request prior to entering into a contract with you. · To ensure the participation in the Your Halls Life programme is protected for all residents, and in particular their health and safety whilst at an event/activity. · To protect our business, including our relationship with customers and suppliers. To deal with emergencies, such as illness or serious injuries of you or others. · To protect participants at Your Halls Life events, and in particular their health and safety while on site. To take steps necessary to perform a contract with you. · To provide events and activities that promote a suitable inclusive and social environment in University of Reading Accommodation. To ensure that content from our website and the social media accounts that we operate are presented in the most effective manner for you and for your computer. · To present our website and social media accounts appropriately to best promote our services. To send you our marketing material about our services or about issues that we think may interest you (by email, text message, social media or phone), and to measure the effectiveness of our marketing material. · To strengthen our relationship with our customers and to develop our business and our marketing strategy. · Options to opt-out of Your Halls Life Marketing and Communications is always available. b. Asking you to update your details. c. Asking you to leave a review or take a survey. Necessary to comply with a legal obligation under the Data Protection Act 2018 that requires us to provide you with fair processing information, and to keep our records of personal data up to date and accurate. · To maintain our customer relationships. · To keep our records updated. · To study how customers make use of our site and services. To administer and protect our business and our website. · To run our programme efficiently, including by appointing appropriate suppliers that support our services. · To manage our IT systems, including by allowing us and our suppliers to manage network security, troubleshoot, conduct testing, perform system maintenance, provide support and generate reporting. · To keep our programme secure and safe. To prevent fraud and dishonest behaviour. To use data analytics and to conduct statistical analysis and research. · To analyse our current or prospective partner, clients/suppliers and social media usage, and services, for business planning. · To keep our site updated and relevant. · To develop our business and to inform our marketing strategy. • To run our programme efficiently, including by appointing appropriate resource and suppliers that support our services based on uptake and student preferences. To use event photography to market future activities and build a sense of residence community. Issue refunds for ticketed events, where necessary. To understand reasoning for refund to, where applicable, develop the programme to avoid such situations. We hope that you enjoy and value our updates, and our marketing material generally. We respect your right to choose what marketing messages you receive. You can opt out of any marketing material that we send you at any time by clicking the unsubscribe link in our emails, or by contacting us. Where we are required to disclose your personal data to another organisation that acts as a controller (for example, the University, law enforcement agencies; regulators; HMRC; or as part of court proceedings), we will only do so if required by law, or if you have approved that disclosure. Internal third parties. This includes UPP Residential Services Limited (which is our main accommodation provider subsidiary), UPP Group Limited which provides central group services such as our IT and management services, as well as any of our subsidiaries and parent companies which support our services or have a need to know in order to respond to your enquiries or to meet our commitments to you. Our suppliers, sub-contractors and providers of goods or services for the performance of any contract that we enter into with them to support our programme. For example, a third party event provider may need a list of participants for health and safety purposes. Where legally compelled to do so, a court or tribunal, a regulatory authority, and law enforcement agencies. Other professional advisers acting on your behalf. Our insurers if we need to discuss your organisation’s request for services. If UPP or substantially all of its assets are acquired by a third party, in which case personal data held by it about its customers will be one of the transferred assets. To anyone where we have your prior consent. The only people who can use your personal data are authorised YHL, UPP or University of Reading staff, in particular our ICT department. If you submit personal data (as described above), the information is available only to the UPP and YHL staff involved in implementing the relevant activity, and to our authorised third parties (as described above) where we have appropriate arrangements in place. UPP has a strong commitment to data security. UPP uses all reasonable endeavours to protect personal information from loss, misuse or alteration and we have put in place physical, electronic, and managerial procedures to safeguard and secure the information you provide to us online, or that we store about you. UPP takes appropriate steps to communicate and train its staff in relation to applicable data protection law. Booking and attendee data – for four months past the data of collection, after which is will be made anonymous. Emails, queries and complaints – are in line with UPP’s wider policy. Analytics info – for four months past the data of collection, after which is will be made anonymous. In all cases, with exception to marketing and communications (see above), we anonymise all your personal data within 4 months, by making sure that you are no longer identifiable. We can then keep that data indefinitely. 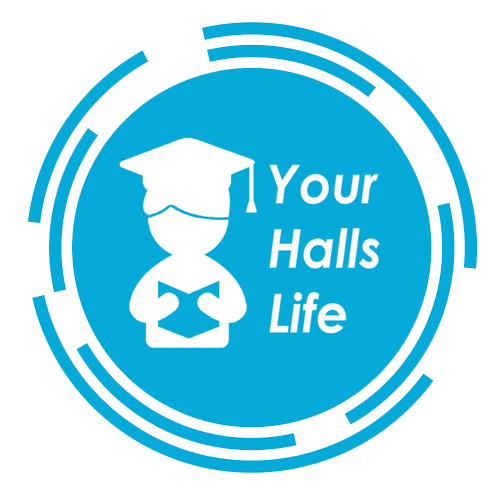 Your Halls Life does not use your personal data to make any automated decisions or conduct any profiling about you. Request access to your personal data (known as a “data subject access request”). You can ask to receive a copy of the personal data we hold about you and to check that it is being lawfully processed. Request correction of your personal data. You can ask to have any inaccurate or incomplete personal data that we hold about you corrected. Request erasure of your personal data. You can ask for your personal data to be deleted or removed where it is no longer necessary for the original purpose for which it was collected. You can also ask us to delete or remove your personal data where you withdraw consent (and no other legal basis exists), where you have successfully exercised your right to object to processing (see below), where we may have processed your information unlawfully or where we are required to erase your personal data to comply with applicable law. Request restriction of processing your personal data. You may ask us to suspend processing of your personal data if: (a) you are concerned about the accuracy of the personal data; (b) where processing of your personal data is unlawful but you do not want it to be erased but restricted instead; (c) you need it to establish, exercise or defend legal claims even though we no longer need it; or (d) you have objected to the use of your personal data but we need to verify whether we have overriding legitimate grounds to use it. Object to processing of your personal data. You can object to us processing your personal data on grounds relating your particular situation and where we are relying on a legitimate interest (or those of a third party). We may be able to demonstrate a legitimate basis to continue processing provided that overrides your rights and freedoms or so we can establish, exercise or defend a legal claim. You also have the right to object where we are processing your personal data for direct marketing purposes, including any profiling related to that direct marketing. Request transfer of your personal data to you or to a third party. Where your information is processed by automated means, and we process your personal data on the basis of consent or a contract with you, you can ask to be provided with your personal data, or that a third party you have chosen is provided with, your personal data in a structured, commonly used, machine-readable format. Right to withdraw consent at any time (provided we are relying on consent to process your personal data). However, this will not affect the lawfulness of any processing based on consent before withdrawal. This may impact our ability to provide certain products or services to you. We will advise you if this is the case at the time you withdraw your consent. No fee usually required - You will not have to pay a fee to access your personal data (or to exercise any of the other rights). However, we may charge a reasonable fee or refuse your request, if your request is clearly unfounded, repetitive or excessive.